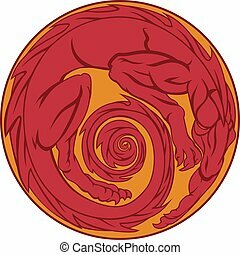 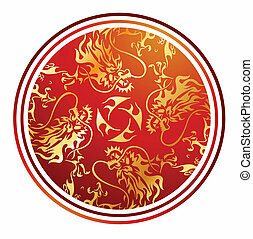 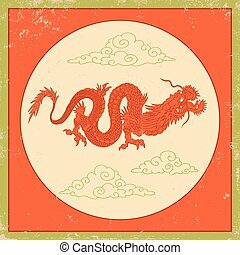 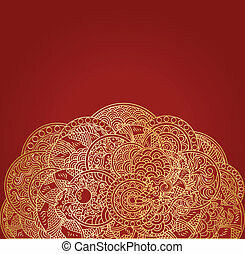 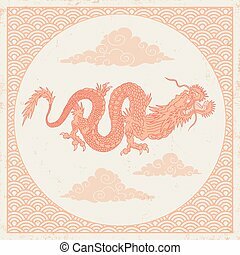 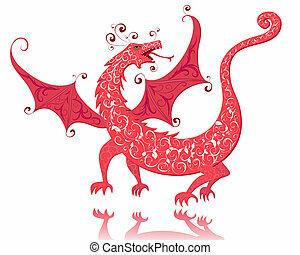 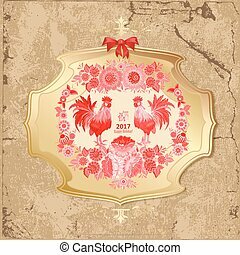 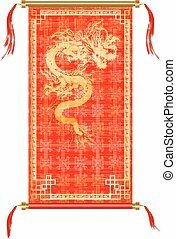 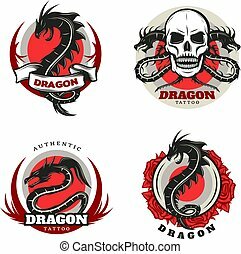 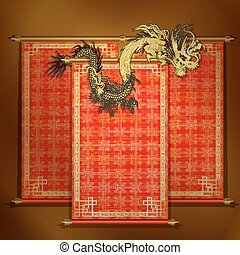 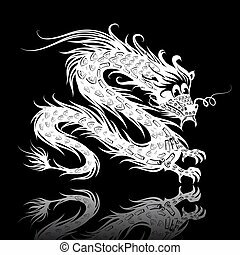 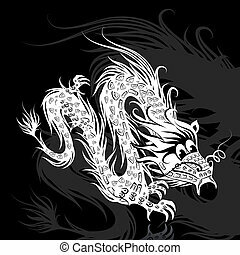 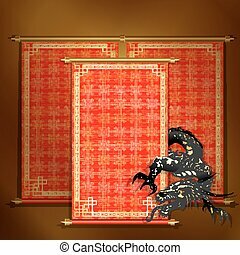 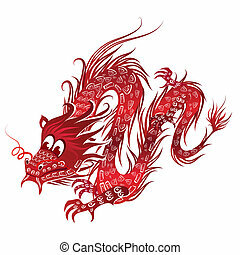 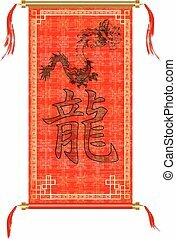 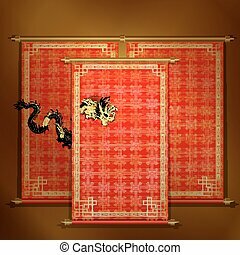 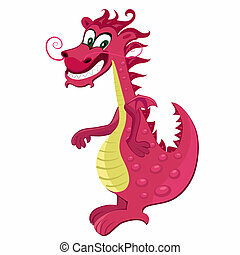 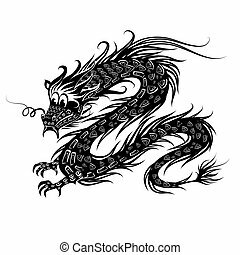 Vector traditional Asian red scroll with Chinese dragon on a gold background. 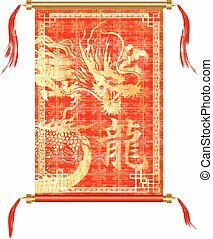 The scrolls are made by individual elements, and each roll can be applied to an inscription or the image. 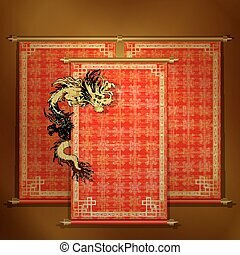 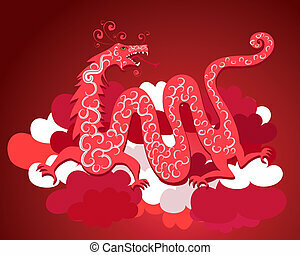 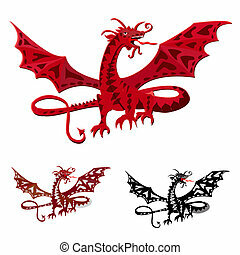 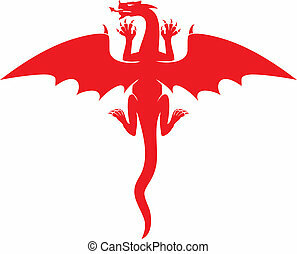 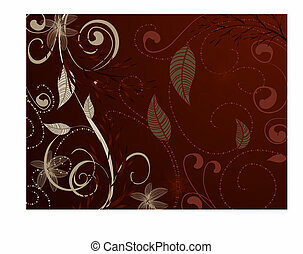 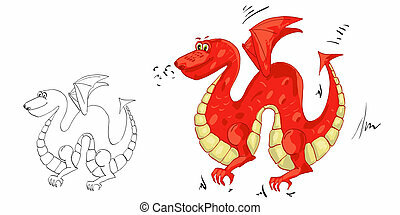 Vector illustration Asian scroll with red dragon ornament clarification. 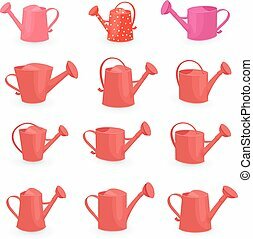 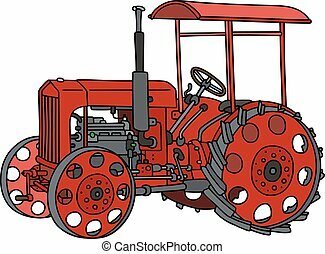 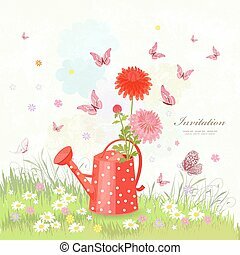 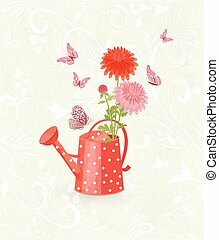 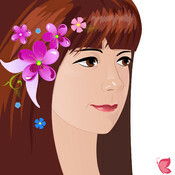 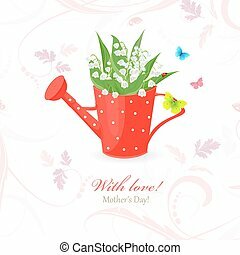 Isolated object can be accommodated in any illustrations separately.